Solid colours and comfy linens have their own place, but what we really love is someone rocking a bold, fun print on their shirt. 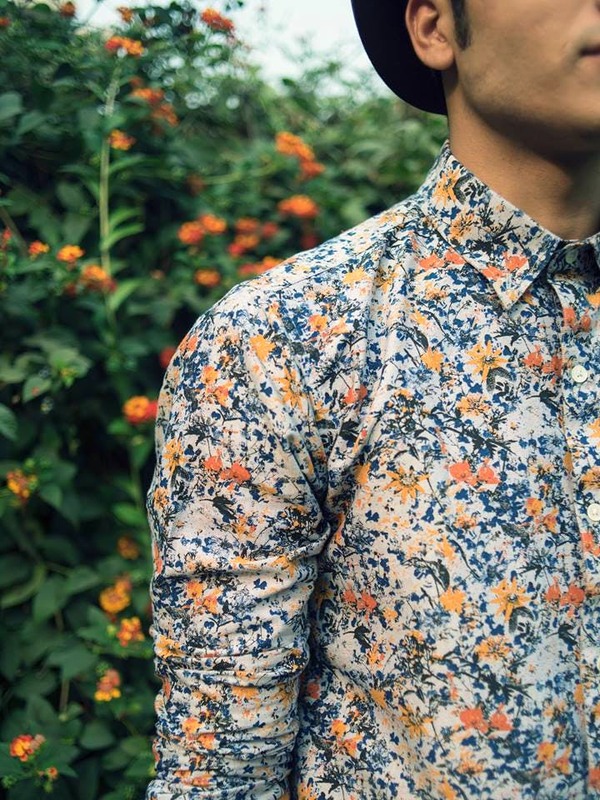 We asked around and different men recommended the best places to get printed shirts from. Zara's a great place to pick up not just solid but printed shirts too. They keep changing their collection every month and they keep a really nice mix of prints, besides the usual tropical shirts. We especially love this comic-themed print (in the pic). Fox prints, starfishes, sparrows or ferns, The Jodi Life stocks shirts in vibrant colours and the quirkiest of prints. Their fabric is comfy and quality impeccable, so really, you'd be making an investment buying their shirts. Also, lovers of Chinese collars, Jodi's options will make you very happy. Most women we know love Anokhi's printed dresses and kurtis, and their menswear section is equally stunning. With fine block prints, tasteful florals and batik prints, they’re a good place to head to for printed shirts. We also like that Anokhi's colours are more on the soothing, subtle side, but they do make a statement with their bold prints. Checks, prints, formals, denims, linens—Bombay Shirt Company has a loaded arsenal when it comes to stylish shirts for men. But if printed shirts are what you're particularly looking for, they've got everything from origami birds and pineapple prints, to paint splatters, abstract boxes and foliage prints. H&M always offers plenty of printed shirts that you can wear to work or on date nights. Their prints are actually feasible for every occasion. Plus, when you drop by during their sale season, you can even find a bunch of funky shirts here for as low as INR 700! Kardo’s whole idea is the literal opposite of mass production—they create every piece using hand-woven fabrics, which are hand-cut and sewn by a single tailor from start to finish. If that didn't already impress you, their printed shirts certainly will. They've got the most artsy indigo collared shirts, those with branch-like motifs, shibori shirts and options with abstract tribal prints too, among many others. Sprezz is a brand that's doing all kinds of beautifully designed shirts for men with lemon, pineapple, dolphin, and delicate floral prints. Unlike a lot of brands, their shirts don't shrink when you put them for a wash. Sprezz pre-washes their shirts with skin-friendly and eco-friendly enzymes, which takes care of any shrinkage or colour bleeding and also adds softness to it. Dhaaga is a homegrown brand that sources beautiful textiles from all over to create bespoke, printed shirts for men. From delicate florals to colourful block-printed jeeps and boats, their designs are unique and effortlessly stylish. Dhaaga's shirts start at INR 999, and they take orders via Instagram and on WhatsApp. With some basic prints (like polka dots) as well as shirts with bold prints (like the Baroque one), Prime Porter stocks a healthy mix of printed shirts for everyone. While their collection might be limited, they manage to do whatever they do have very well. For instance, their 3D glasses print is bound get a lot of compliments and don't even get us started about the white shirt with tiny adorable leaf prints. A lot of men recommend Marks & Spencer for formal and informal shirts. While M&S is always on-point with their basics, we also love their printed shirts. Just how cool is the flamingo (pictured) one?! If you're the kind of guy who almost always orders his shirts online, KOOVS is a good e-store to check out. They keeps a decent selection of printed shirts in varied patterns like abstract zig-zags, paisleys, palm leafs and even lemon print ones. Best part? They're always offering some kind of discounts on their apparel, so be sure to make the most of it. If you're someone who is just experimenting with printed shirts or are probably buying your first printed piece, starting with Andamen is a great idea. Their prints are mostly small and detailed so you can gradually ease into carrying printed shirts. Small block prints, patterns of constellations, and detailed abstract lines are some of the many prints they stock. They've also got a few options with relatively bigger motifs too (like the came pictured above).